We learned yesterday that HBO is developing not just four Game of Thrones prequels, but five, with long-time creative team member Bryan Cogman penning the fifth. George R.R. Martin took to his blog to discuss the newly announced “successor show,” highlighting Cogman’s qualifications, offering a few general details of the newly announced project, and providing a clearer picture of what’s going to happen with the five prequels. 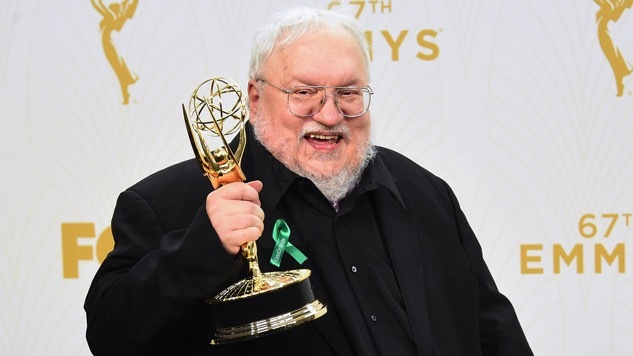 Cogman’s trajectory as a member of the Game of Thrones team has taken him from an assistant to the showrunners “to staff writer, to story editor, to co-producer and producer and supervising producer,” as Martin outlines. The author refers to Cogman as “GOT’s ‘Keeper of the Lore,’ the guy who knew the canon better than anyone (except me, though sometimes I am not even sure of that),” and he points out that Cogman has written more episodes of the show than anyone but showrunners David Benioff and D.B Weiss: “If D&D have been the kings of Westeros for these past seven seasons, Bryan Cogman has surely been the Prince of Dragonstone.” Clearly, Game of Thrones experience won’t be an issue for Cogman’s series. Finally, Martin paints a guardedly positive picture of the general outlook for all these prequels: “I’ve been working with [the other writers] as well (some more closely than others), and I’m excited by some of the ideas they’re coming up with. HBO should have a wealth of material to choose from.” Though he cautions that we “should not expect to see all five shows, though, at least not immediately,” Martin does speculate that “we could possibly see two or even three make it to the pilot stage, with one series emerging on air in 2019 or 2020 … and the others maybe later, if they come out as well as we all hope.” Our fingers are crossed. Read Martin’s blog post in its entirety here.